Encounters between slavers and British naval vessels were common in the Atlantic, but rarely did a slaver try to run down a man of war. 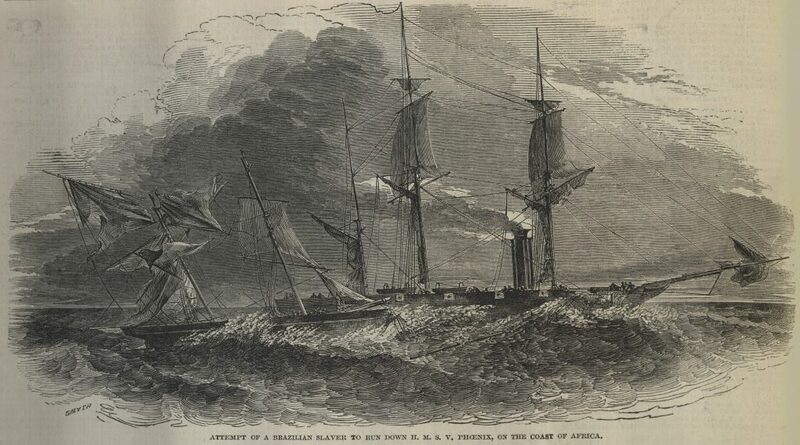 The following illustration shows one of such encounter between a Brazilian slaver and H.M.S. Phoenix. The Illustrated London News, 24 August 1850. Courtesy of University of Missouri Libraries.